Contact us to learn more about our Oklahoma City dental team or to schedule a consultation. Dr. Pinkston has been a dentist for four years and has offered premier dentistry for Oklahoma City families at Pinkston Dental Care for over two years. As a lifelong Oklahoman, he went to high school in Muskogee and graduated from the University of Oklahoma where he then attended dental school. Dr. Pinkston and his wife, Kendal, have four degrees including two bachelors in Health Exercise Science, a DDS, and a Masters in Healthcare Administration. He is a proud member of the Oklahoma County Dental Society and The American Dental Association of Oklahoma. 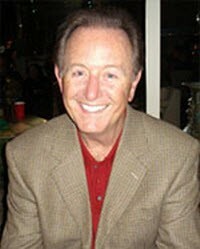 He has advanced training and is certified in implant surgery and Invisalign. Dr. Pinkston recently completed a restoration clinical residency in January of 2015. When he’s not busy transforming smiles, Dr. Pinkston enjoys spending quality time outdoors with his family. Backyard baseball games, fishing, lake trips – the Pinkston family does it all. They have a son, Jack and a daughter Gentry, who was born in August of 2015! Dr. Jim Hammack is a life-long resident of Oklahoma City, graduating from N.W. Classen High School. 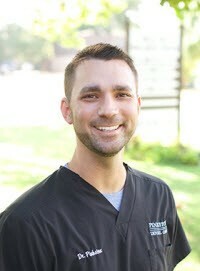 He is a graduate of Oklahoma State University and Baylor College of Dentistry. After graduating from dental school, he served as a dentist in the United States Air Force. He is a past president of the Oklahoma County Dental Society, a member of the Oklahoma State Dental Association, and the American Dental Association. Dr. Hammack has been a frequent volunteer on Medical missions to Mexico and South America. He has written several articles that have been published in various dental periodicals. His office has conducted monthly training programs on quality dental hygiene for dental offices from all over the United States and Canada. For more than 20 years, Ashley has invested her time and energy in helping people smile. She joined our practice in 2005, and has worked each day to develop lasting relationships with our patients. 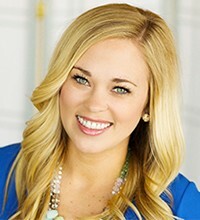 Ashley studied dental hygiene at the University of Oklahoma, and her outstanding education coupled with years of experience make her an irreplaceable member of the team. Ashley and her husband, Scott have 4 energetic children, and the family spends a lot of time at various kids’ activities and endless baseball games. When she gets a chance, Ashley likes to run, and enjoy her guilty pleasure – kicking back to watch the Ultimate Fighting Championships! 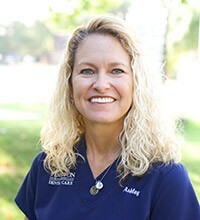 Highly trained, experienced, and dedicated to helping every patient achieve and maintain optimal oral and overall health, Jackie holds a bachelor of science from Oklahoma State University in health education and promotion as well as a bachelor of science in dental hygiene from the University of Oklahoma. Though she spent time at both state universities, she is a diehard OSU fan and former pom girl – Go Pokes! Jackie is committed to staying up to date on the current dental technologies. She strives to make sure every patient has a comfortable and positive experience. Jackie is dedicated to promoting health education at work and outside the office, and she frequently volunteers with the Oklahoma Mission of Mercy and Give Kids a Smile. Married to an orthodontist, Dr. Ryan Theobald, she and her husband recently moved back to the great state of Oklahoma after spending three years in Denver. They’re happy to be home with family and friends, and they love being outdoors. Any day they have away from work, you’ll catch them riding their bikes or walking Ted, they’re golden-doodle.